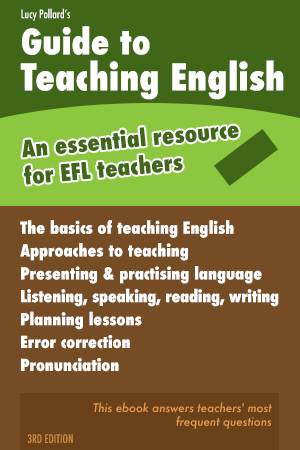 This PDF ebook is an essential resource for teachers whether experienced or new — an invaluable tool for anyone teaching English as a foreign language or thinking of becoming a teacher. It explains in depth and with minimum jargon the basic principles of working in a language classroom. It offers practical teaching advice and helps teachers plan activities, lessons and courses. All this in an easily transportable PDF format. 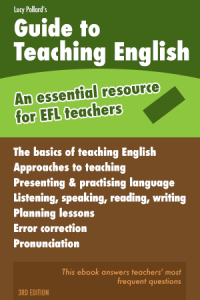 Lucy Pollard’s Guide to Teaching English is an essential “how to teach English” resource for teachers of English as a foreign language. With answers to teachers’ most frequent questions, it forms a helpful reference for teachers and a handy guide for trainees. 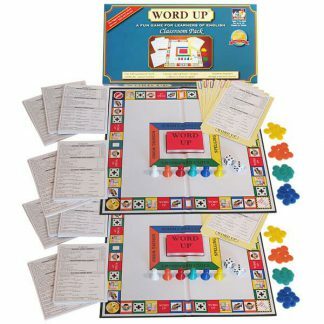 It gives tips for the situations teachers often encounter. 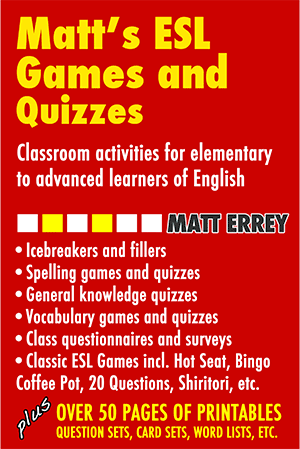 It describes the main ways to teach English and contains practical ideas that you can instantly put to use in the classroom. You will find yourself dipping into it constantly. 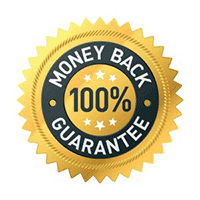 It lets you save time because you make the right decisions from the start. This has to be one of the best resources I’ve found for teacher wannabees like me. It’s got practical guidance and doesn’t use the jargon I saw on my TEFL courses and in other books. What struck me most about Lucy Pollard’s Guide to Teaching English was its no-nonsense approach and practicality. Though I’ve been teaching for over five years now I learned a lot from it. In fact my lessons have never been the same since! I recommend Lucy’s ebook to teachers and trainee teachers alike. Covered the full scope in a precise way. Easy to read end-to-end to get full overview. And I think it will be useful as a reference as I move forward. Lots of practical tips/ideas. Lucy Pollard has worked as a teacher, teacher trainer, writer of articles and Director of Studies for over 20 years. Her experience is varied: adults, English for specific purposes and English for academic purposes as well as teenagers and young children. She has worked with multi-lingual classes in the UK and for the British Council in various countries including Turkey, France, Spain and Poland. She has the UCLES Diploma in TEFL, the Certificate in TEFL from the University of London, a Bachelor’s degree in Psychology and the Diploma in Life Coaching. 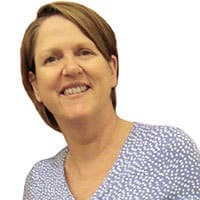 Lucy is passionate about teaching and learning and has shared her knowledge with students, teachers and colleagues for many years. For many years she answered questions from teachers on the TEFL Help Desk at TEFL.net. Covered the full scope in a precise way. Easy to read end to end to get full overview. And I think it will be useful as a reference as I move forward. Lots of practical tips/ideas.